Local services for lower level mental health needs had declined and there seemed to be only clinical options available, all with lengthy waiting lists. Merlin worked with partners such as South Gloucestershire Council, CCG and the local Mental Health Trust (AWP) as well as multiple community organisations such as Southern Brooks and Kingsmeadow Flat, to create and build a curriculum, which offered a range of courses, wellness activities and taster sessions for students. 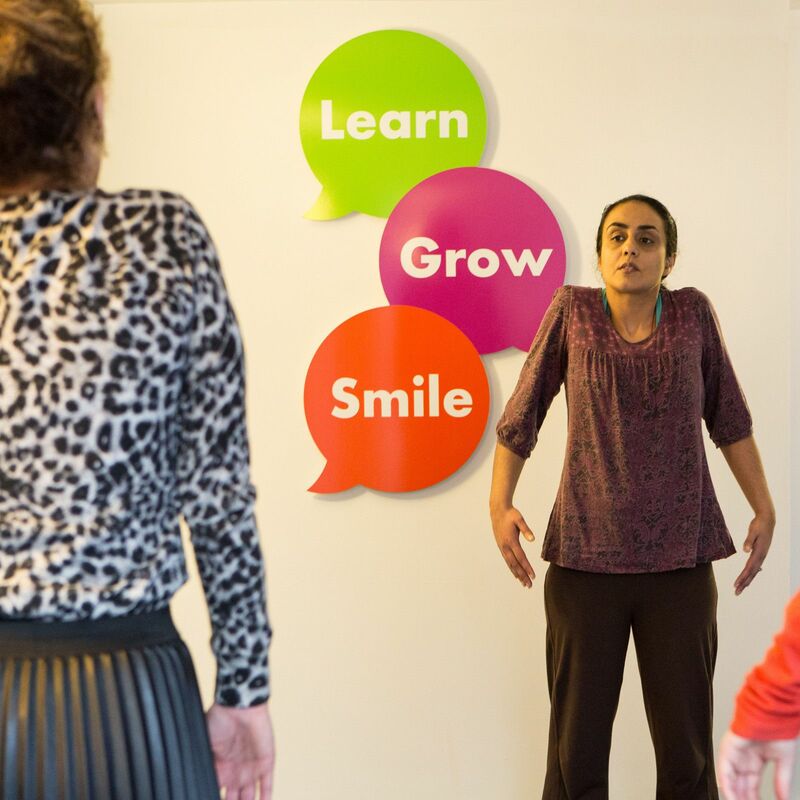 It’s an educational empowerment model which aims to improve levels of wellbeing and reduce social isolation – all of which are challenges facing an ageing population. We measure wellbeing both pre and post intervention and also impacts, such as gaining employment and better management of finances etc. We don’t have clinicians and service users, we have students and tutors. Merlin is externally funded and, as well as having an online presence, we have a HQ and operate across the whole of South Gloucestershire. Everything we offer is free of charge, from depression courses and mindfulness therapies through to holistic treatments such as massage and Yoga. 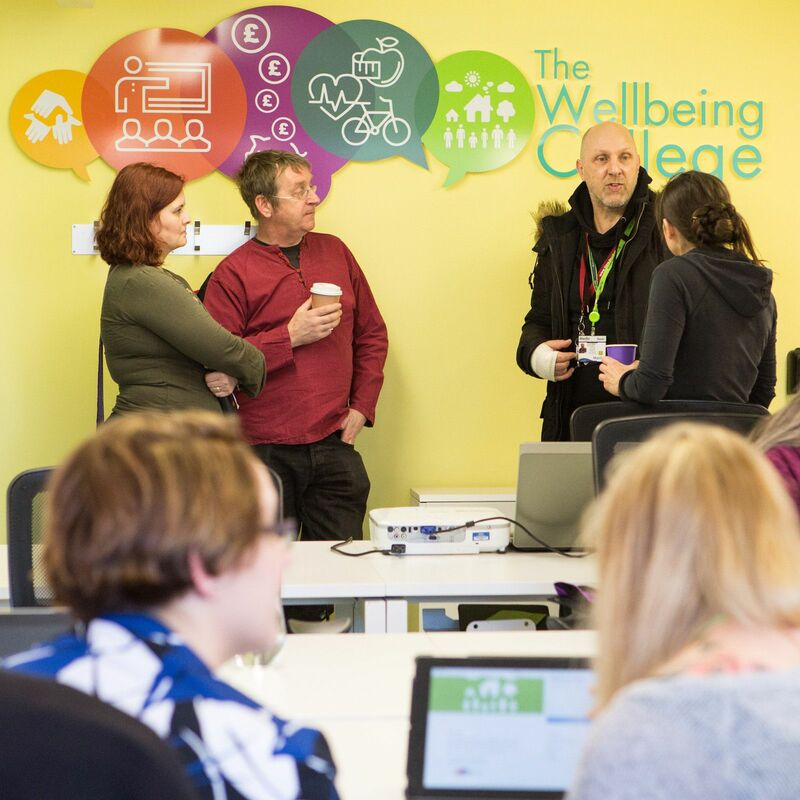 We work with specific groups of need, including women with PTSD who have previously had cancer and people currently on the IAPT waiting list, right through to people who just want to understand and improve their wellness. Recognising that employees need just as much support as the local population, Merlin even offers business-to-business support, with a range of employee wellness packages and also away days at the HQ for businesses to take part in. Last year, roughly 1500 unique students journeyed through the College and on average improved their wellbeing by 75%. We offer personalised journeys for students; Solo for those able to manage the journey themselves, Buddy for those requiring a buddy for up to 3 sessions and also Mentor, for those requiring support with the college and other areas of their lives. Just fewer than six out of ten service users (59%) showed improvement in their social isolation score. Overall, the social isolation score of wellbeing course participants improved by 0.6 points. Additionally, above seven out of ten users (75%) showed improvement in their life satisfaction, worthwhile, happiness, and anxiety, after attending Wellbeing Sessions. Using Public Health Outcomes Framework (PHOF) measures as a benchmark, it was apparent that the Wellbeing College participants were highly isolated, with low levels of happiness, and high levels of anxiety prior to attending the sessions, compared to the general population in South Gloucestershire. Subsequently, the follow-up rate post session for these participants indicated remarkable improvement in the scores for these three domains. Such a direction reflects the effectiveness of the Wellbeing College interventions in improving social contact, happiness, and the rate of anxiety among its participants. "The course on staying calm and counting to ten is great. I’ve told all my friends about it. It has changed the way I am with my kids. I didn’t know that I could get help on this. I thought people would think I was a failure or that I couldn’t cope with my kids, but I think every parent needs a helping hand sometimes. The staff at the Wellbeing College were great at reassuring me. I called them to ask more about the course. I’m glad I went on it – thank you Wellbeing College." "Spending a couple of hours in a safe place, chatting and having coffee with other people who understand mental illness and therefore don’t have any expectations was really refreshing. I think the drop in would be especially useful if you have had a mental illness for a long time, or you’ve recently had a relapse and you would like somewhere to go for coffee as you start rebuilding your life back. I also think it could be a good place for people who are anxious and need somewhere to try out new things like having a conversation with strangers."